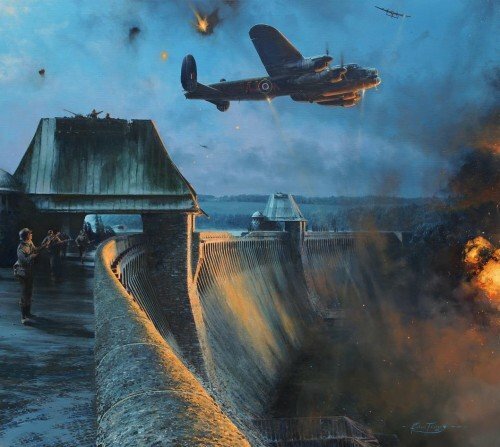 'THE DAMBUSTERS - LAST MOMENTS OF THE MOEHNE DAM"
Served as front gunner on Les Knight’s Lancaster AJ-N which breached the Eder Dam. Served as rear gunner on Lancaster AJ-F flown by Ken Brown. The pilot of Lancaster AJ-W assigned to attack the Sorpe Dam.